Jedd Beaudoin is an award-winning writer and broadcaster who has been with KMUW since 2007. He is the host and producer of Strange Currency, a two-hour music show, which airs Monday-Saturday from 8 to 10 p.m. He is also the producer of the bi-weekly trends commentary “A Musical Life,” as well as “Musical Space.” He received his MFA in creative writing (fiction) from Wichita State University in 2001 (where he was a Creative Writing Fellow) and holds a B.A. in English (with an emphasis in writing) from the University of Wisconsin-Whitewater. 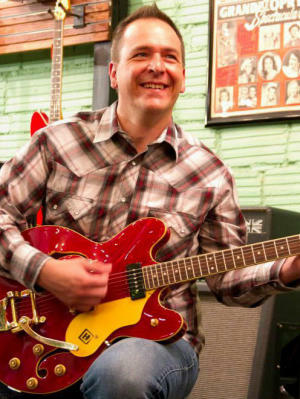 Beaudoin hosts Wichita Sessions on KPTS Channel 8. The show, which features local and regional music acts in performance, is now in its third season. Since 1999 he has worked as a freelance journalist. He served as music critic and editor for two Wichita alternative newspapers, F5 (2003-06) and Wichita City Paper (of which he was also managing editor, 2006-07). He currently contributes music, film, and book reviews to PopMatters.com, where he also pens (alternating with two other writers) commentary on country music for the site’s “Kickin’ Up Dust” column. Wichita's James Paul is a solo musician but he can claim deep support from some fellow performing artists--his family. 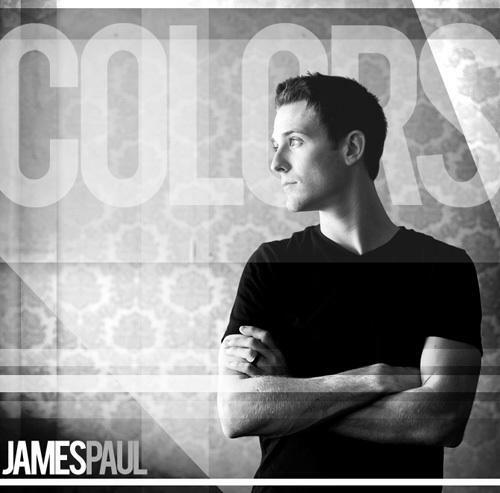 It's easy to hear some musical influences in Wichita singer-songwriter James Paul's music. Gospel and soul are clear touchstones. But there are also touches of folk and country music, elements, he says, that came from two of his biggest direct influences, his mother and father. Formed nearly a decade ago in Wichita, Spirit of the Stairs has consistently evolved in unexpected but always fascinating ways. From its earliest days as a guitarless trio to its current incarnation as a guitar-heavy quintet, the all-instrumental ensemble has never disappointed. Patti Smith was America’s first punk poet. Influenced by beat writers such as Allen Ginsberg and William S. Burroughs as much as by rock and roll and classic literature­­including French symbolist poets Paul Verlaine and Arthur Rimbaud­­Smith’s emergence from the New York punk rock scene of the 1970s ushered in a new era in popular music in which academic intellect and street smarts were equally appealing. Formed in 1991 by brothers Tjinder and Avtar Singh with their friends Ben Ayres and David Chambers, Cornershop fuses the music of India with British rock and pop as well as electronic dance music with an incomparable sense of humor.